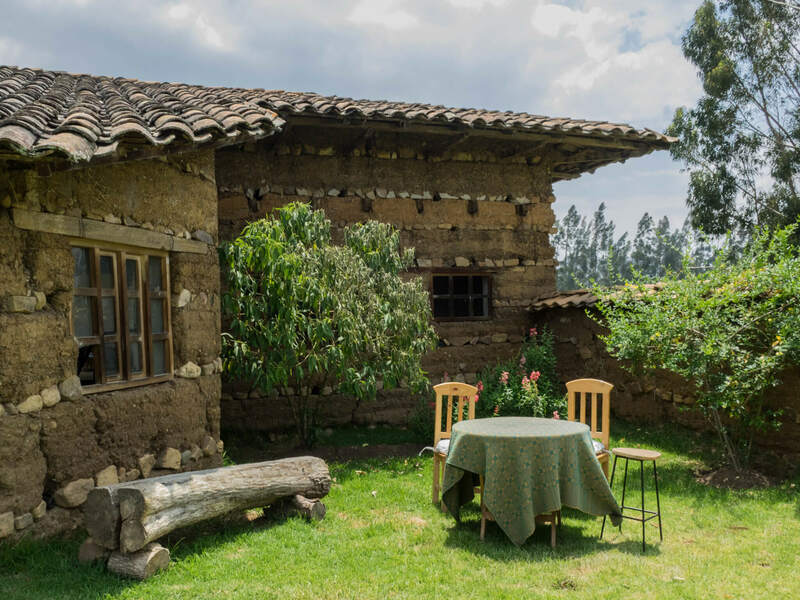 Go way off the beaten path staying in the beautiful rural Cajamarca countryside with views of the Andes! 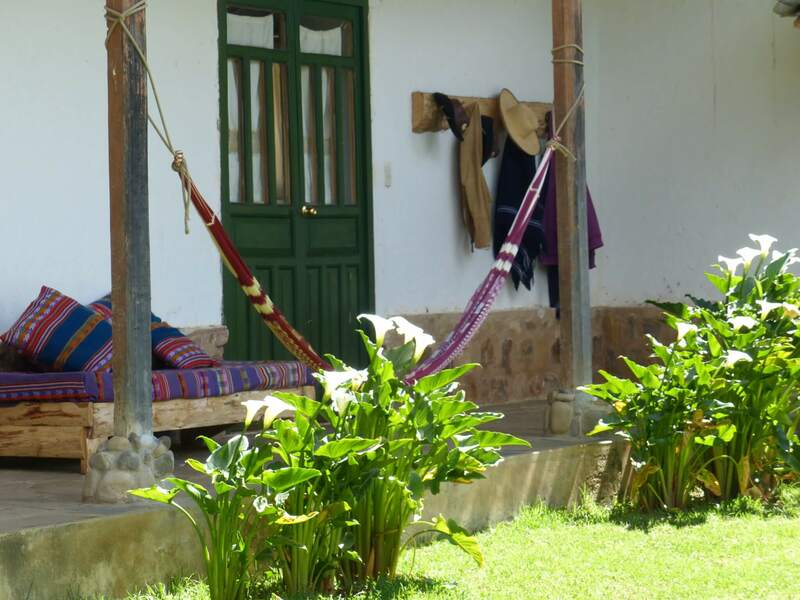 Experience the real Peru, away from the tourist tracks of Machu Pichu. Choose from a range of worthwhile projects to help you make a lasting difference to these communities. Although the Incas are the most famous, there are other pre-Columbian cultures and unexplored archaeological sites which can be located in the North of Peru. A country of contrasts, crazy traffic, 6700 meter high cities, amazing beaches and sunsets, tropical rainforests and lamas! While the Amazon represents 60% of the Peruvian surface, it is the least densely populated region of the country. Therefore, it holds a lot of uninhabited parts, untouched by humans and beautiful unseen areas. 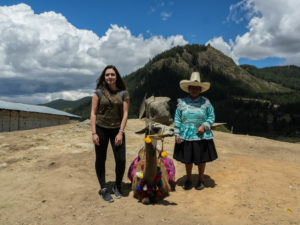 Peru offers volunteers a chance to learn about ancient cultures and connect with yourself, with nature and with good local people. In Peru, history is very evident and still pulsing with street side pageants booming brass bands and colours. With all the madness of the cities, the countryside is never far and in our opinion, here is the place where you can experience something very unique and special. Here is where you will make a difference. There are many dimensions of Peru which the standard tourist does not see when partaking in the typical Lima to Cuzco and Inca trail itinerary. 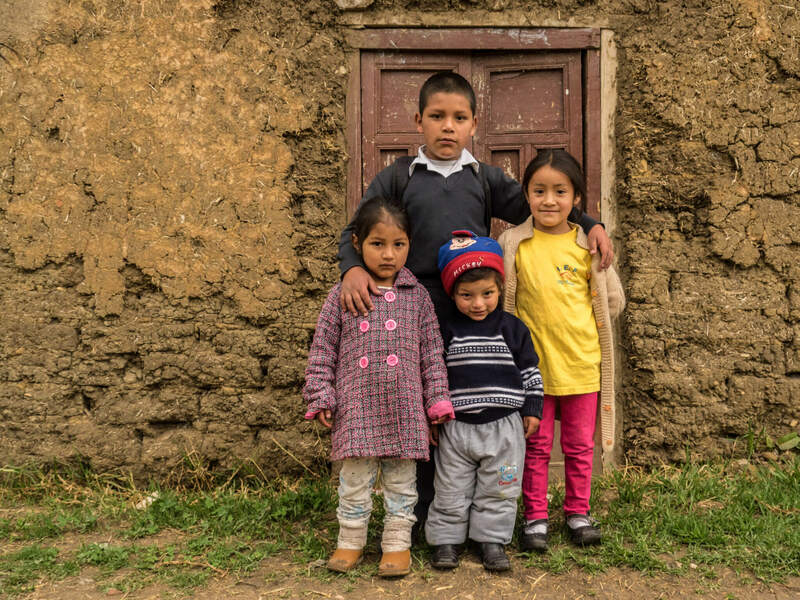 Poverty in Peru is significant within the indigenous people living in remote rural areas. 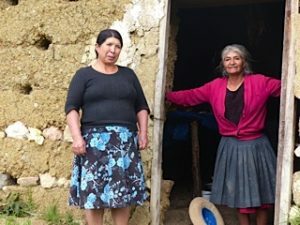 The rural poverty rate nationally is over 50 percent, with approx 20 percent in the Andean region considered extremely poor. With many locals relying on sustenance farming and tourist handicraft sales to support their family. 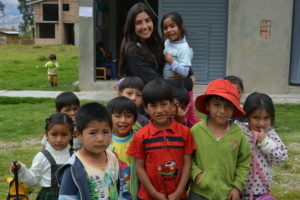 Although poverty in Peru is evident in many towns, also evident is the spirit of the Peruvian people. The people of Peru are generous and so welcoming to those around them, and especially foreigners who show interest in their way of living. 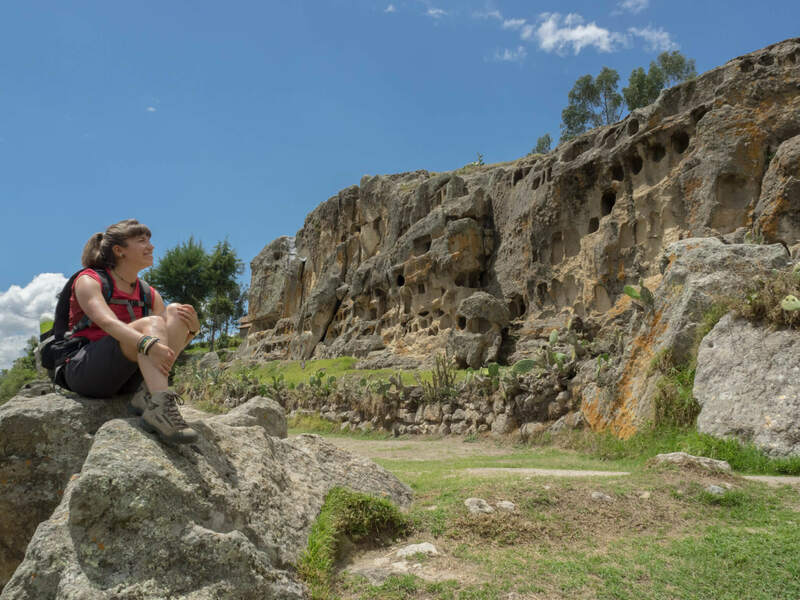 Cajamarca, Peru’s capital city is steeped in historical sites and culture. 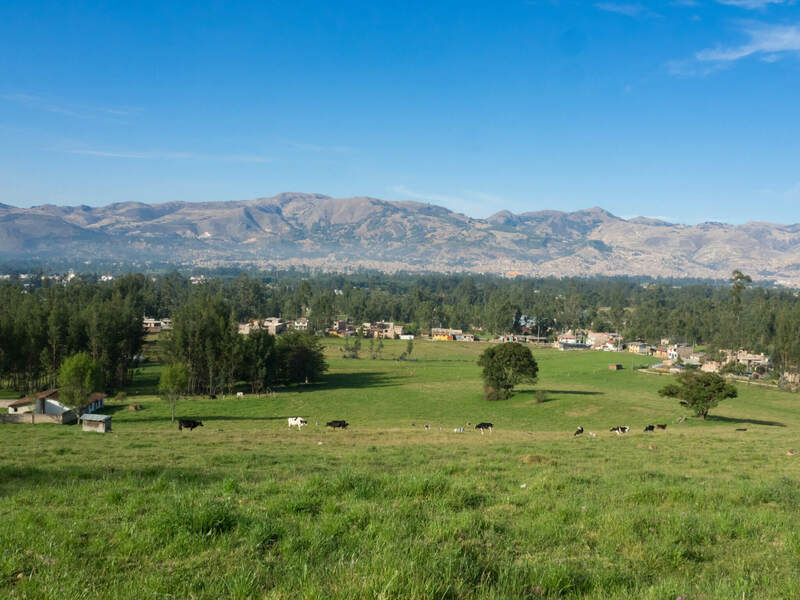 You’ll be located on the eastern outskirts of Cajamarca which is known for it’s natural thermal spring. 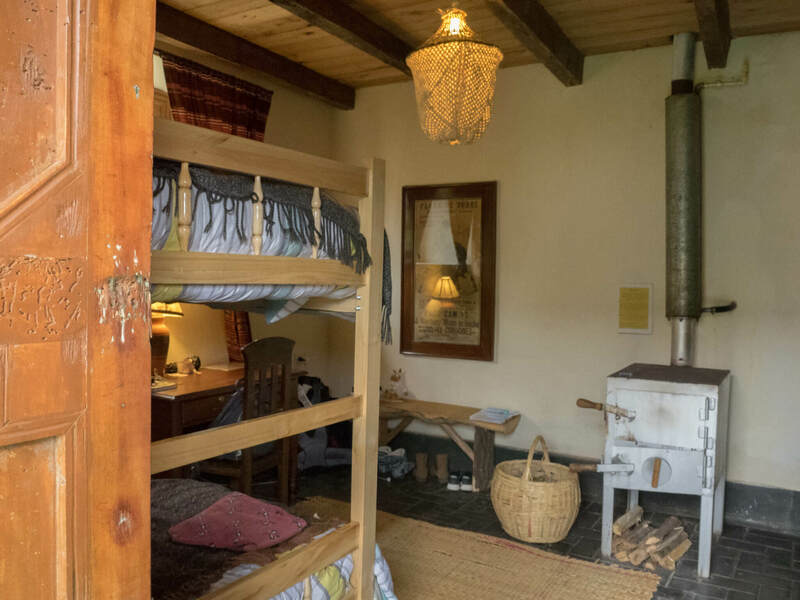 This is a quiet location which provides a laid back retreat for nature lovers after the the hustle and bustle of the city. There is a beautiful view of the Andes mountain range from the accommodation which is also quite close to the amazing rain forest. The city of Cajamarca is renowned for its carnival where painting battles take place every year. 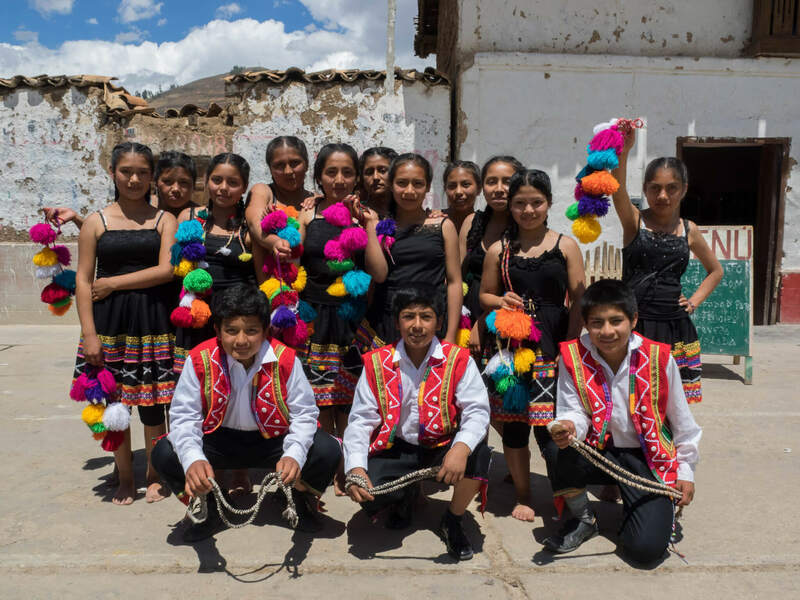 Peru is also a country of dances. The national dance is the Marinera and is frequently practiced on the coast, while tribal dances can be found in jungle areas. 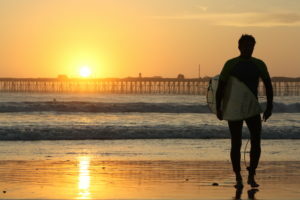 Pimentel, the small beach town located 20 minutes from the city of Chiclayo, is a modern resort town perfect for surfing, boating and water sports. It is a beautiful beach with a relaxed atmosphere which can be quite busy in the summer. It’s quite well known for the surf with pier points directly in the SW swells, and long sand banks promoting plenty of rolling peaks for beginner to intermediate surfers. There is a casual ambience and plenty of waves to go around, but be conscious of the locals! 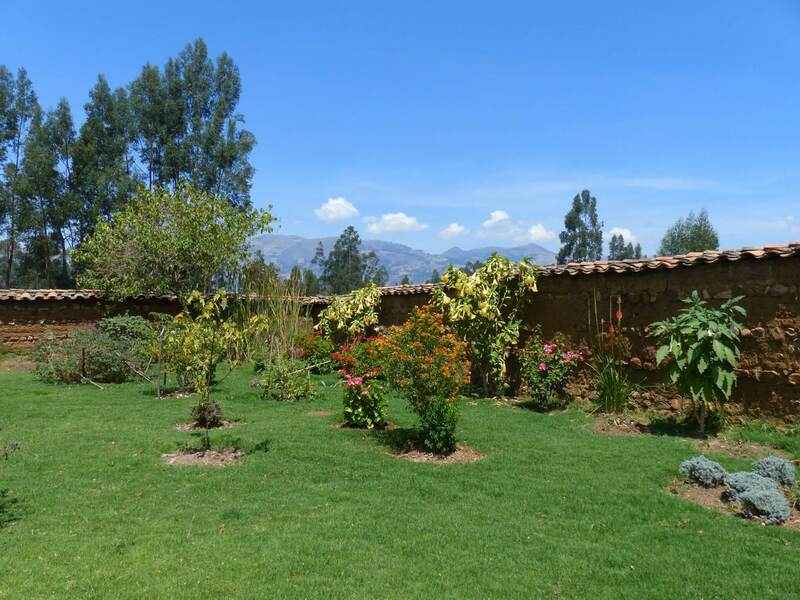 The volunteer house is located in the countryside with views to the Andes. 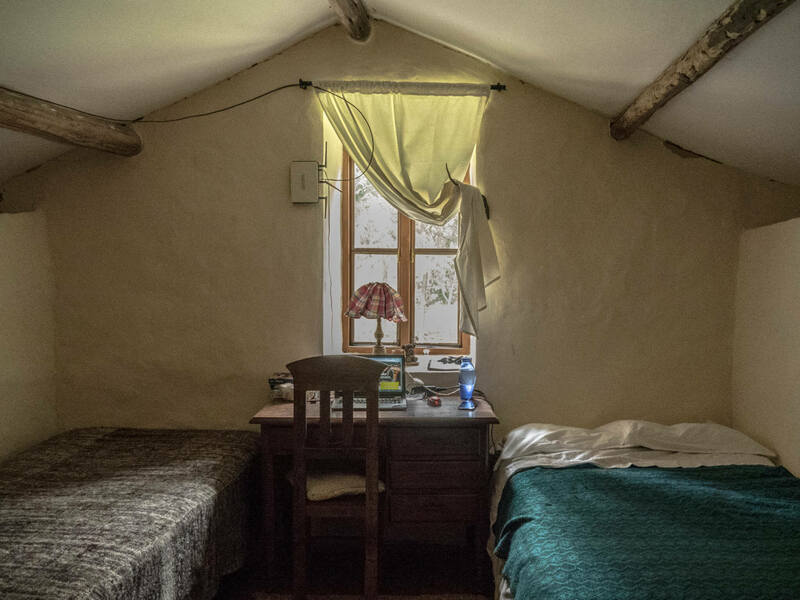 It’s approx 20-30 minutes bus ride to Cajamarca, but only a short 15-20 min walk to a local gym, swimming pool, coffee shops, restaurants, internet cafe, ATM and shopping in the near-by township. 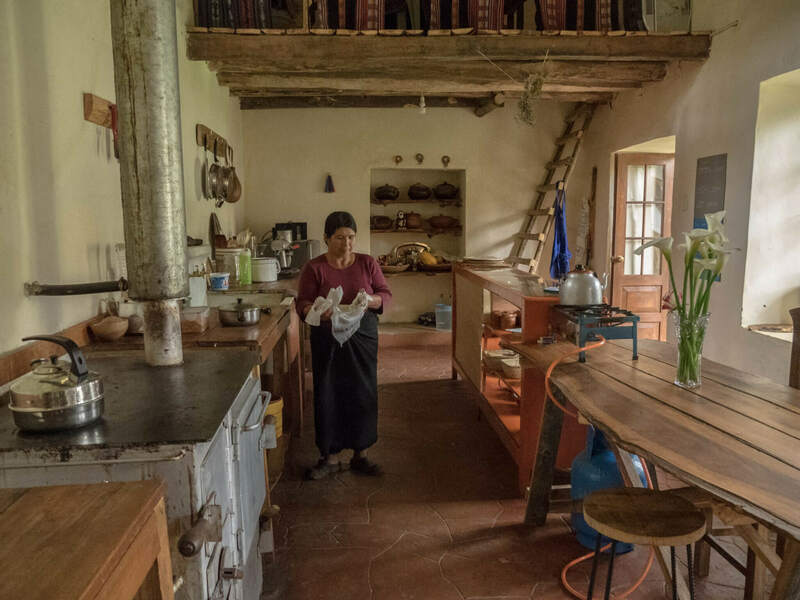 The house is made with traditional materials such as adobe and stone and has large gardens and chickens. 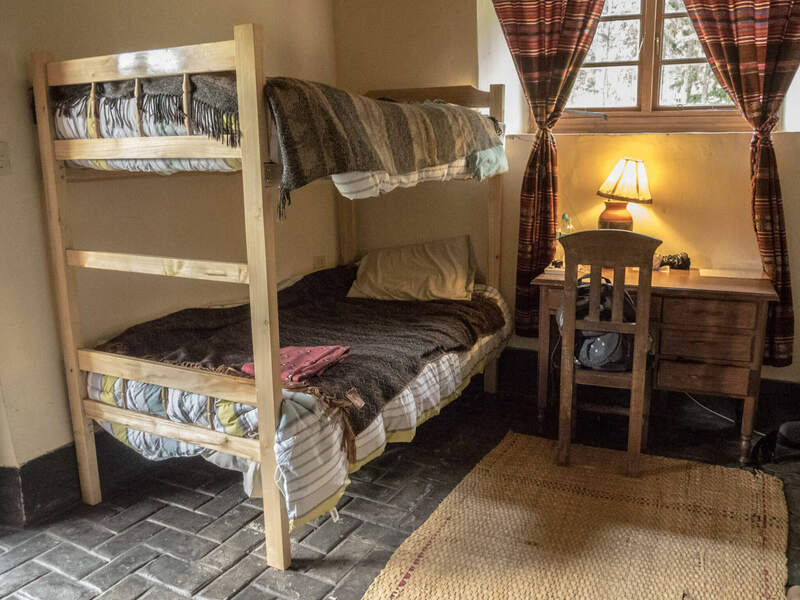 Rooms have double bunk beds and sleep 4 people on average (single gender). Hot showers, bed linen, and heating are included with laundry facilities available for a small fee. 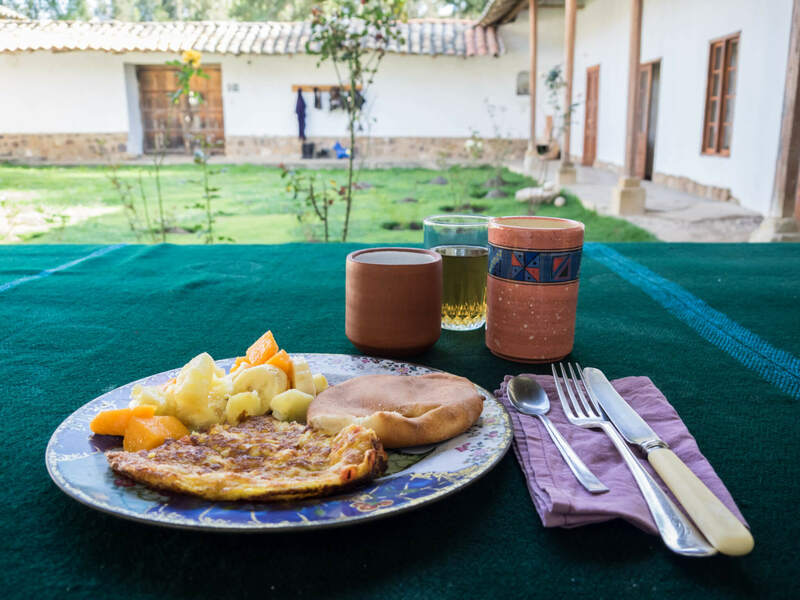 Wifi is available at the house but speeds can vary so many volunteers choose to purchase a data plan for their own device while in Cajamarca. You’ll be expected to be environmentally aware and to use all resources with restraint, especially water, paper and electricity. 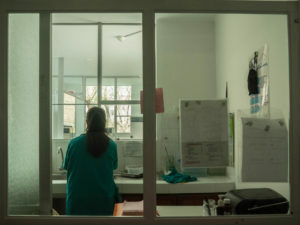 Although rooms will be cleaned daily by staff, you will be expected to clean up after yourself, and to play your part to keep the accommodation neat and organised. 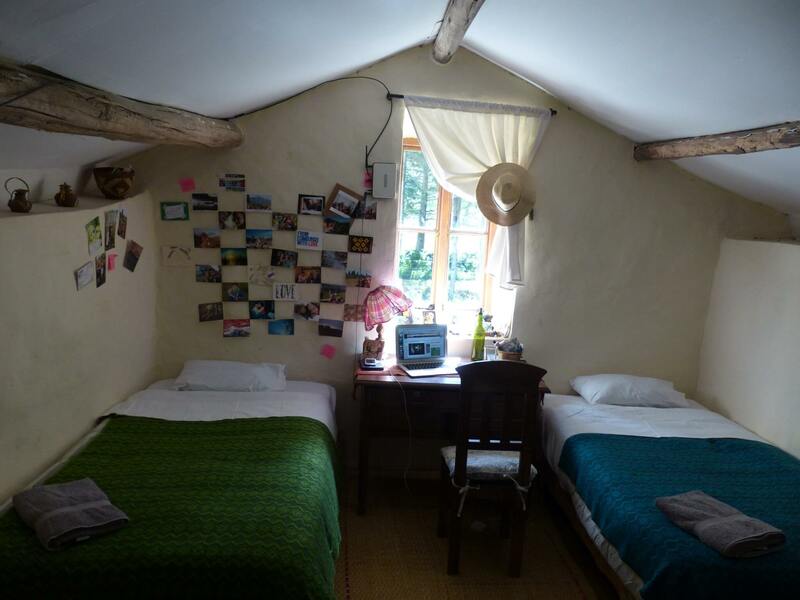 A private room is available at an additional cost of US$120 p/room p/week. Note, this has a shared bathroom with the rest of the house. 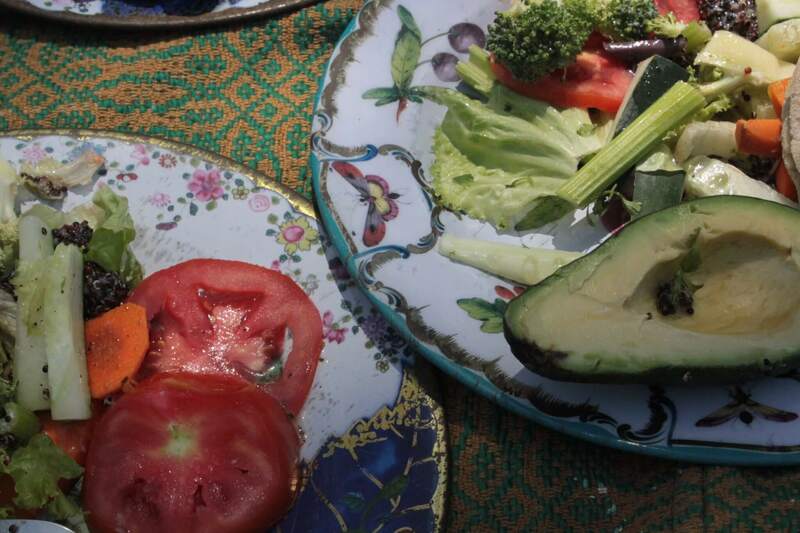 3 good meals are provided daily on weekdays and the 2 meals on the weekends. This includes filtered water, coffee and tea. The meals are typical Peruvian and vegetarian friendly with lots of corn, rice, potatoes, beans, chillies, wheat and other grains. 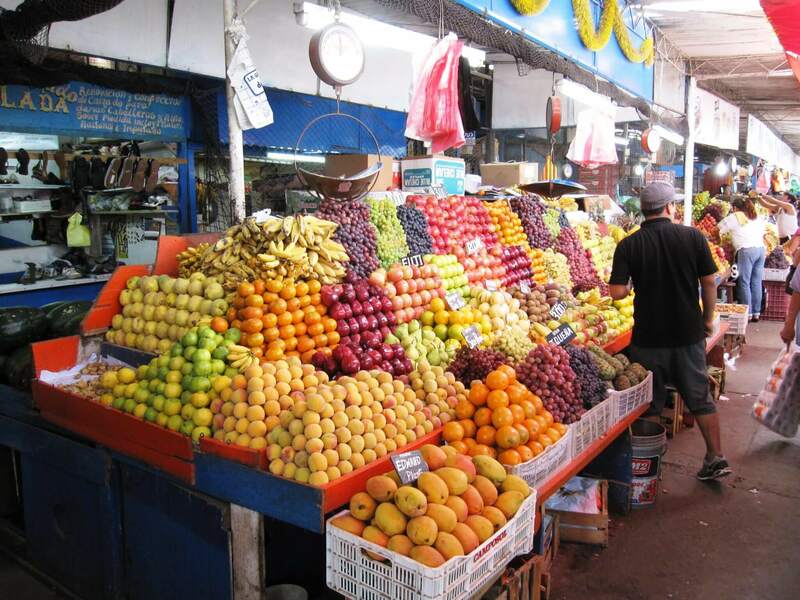 Fruit production in Peru is a major and important sector with fruit trees such as Mango & Cherimoya in abundance. Ceviche is an award winning dish from Peru made from raw fish, seasoned lemon and spices. Other famous dishes include Antichuchos which is made from beef heart and Chica Morada which is a national drink made from black corn and Pisco (national alcohol). 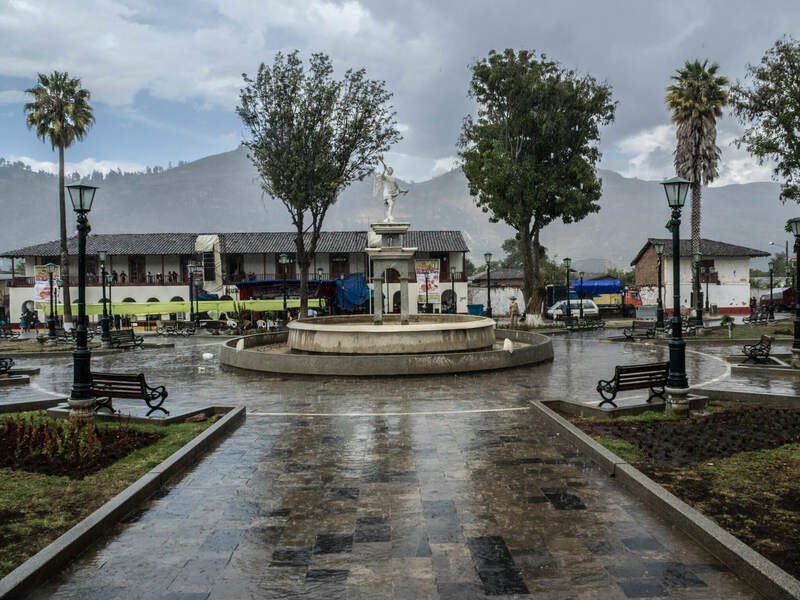 An arrival airport transfer from Cajamarca airport is included in the cost. Daily transportation to the project sites are also generally included however there may be some days where public transport will need to be used at a very small local fee. Public transportation in Pery is easy and the travel costs are low. The traffic may be crazy in Lima and in general, but for long distances, the most common means of transportation is by bus and it is very safe. Be assured you will have local in country support for the duration of your program. We will also provide you with a 24 hour emergency telephone number so that you can always reach a member of our ground operator team in the event of an emergency. We recommend the cultural orientation week to get accustomed to the pace and culture of Sri Lanka. During this week you’ll receive an worthwhile overview of the area, nearby facilities, culture, historical sites, cooking lessons, language etc. Many past volunteers report that this background is highly beneficial toward their placement. The volunteer working week is generally Monday to Friday from 9:00am – 3:00 pm with weekends free to relax and explore your local surrounds. Generally, volunteers must be 18 years of age or older and are welcome to come alone, in groups or with travel companions. If you are single, don’t worry you’ll meet heaps of new friends! 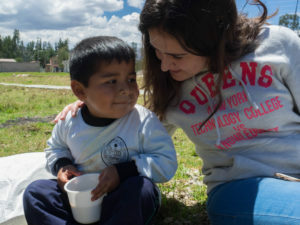 Volunteer in Peru projects are designed for those with a desire help the less fortunate. A high degree of patience and understanding is likely necessary as customs will be very different to your home country. We encourage volunteers to have an open mind and open heart and live in the moment. 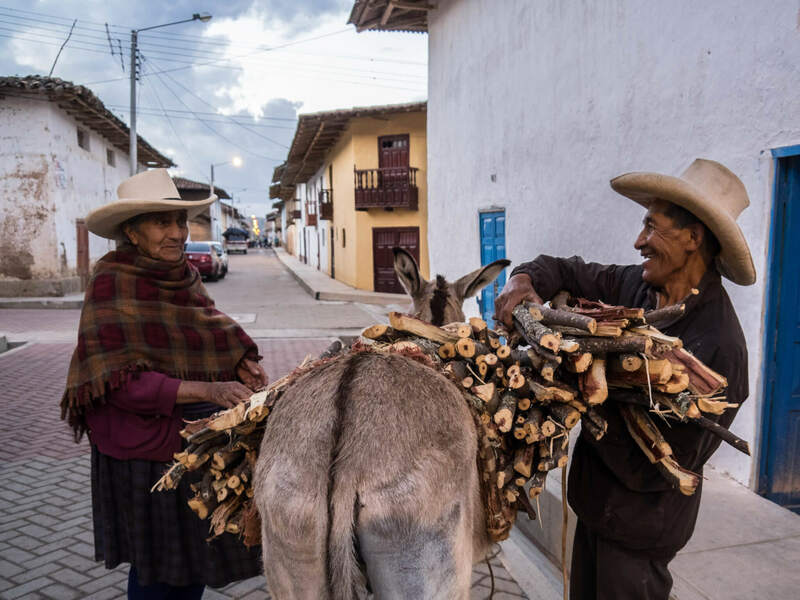 An ancient Incan tradition, learn from the locals as to why these animals are so important to Peruvian homes and assist in their feeding and raising. Agriculture is a very important aspect of every Peruvian countryside home. Home gardens, or “Chakras” as they are called, still use ancient Incan irrigation systems to upkeep this vital source of nourishment. You’re welcome to join us in the evenings to help with the maintenance of this special part of Peruvian life. Watch the local farmers near your accommodation as they tend to their animals in daily rituals like shearing and milking. Weekends are always free for relaxing or sightseeing. Our local team will help you coordinate excursions as desired. Theres heaps of tourist things to see and do, or you can simply sit back and chill out at the house or in the local areas. 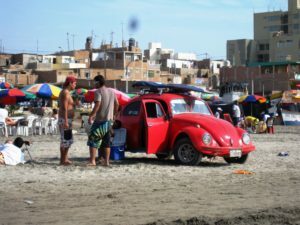 Chiclayo – You can easily reach Chiclayo, Peru’s fourth biggest city, by public transport which is cheap and frequent. Chiclayo offers shopping centers, a cinema and nightlife, but is also a traffic hub in north Peru. This makes it easy to travel on the weekends or after your program. There are plenty of small restaurants or shops around the area. 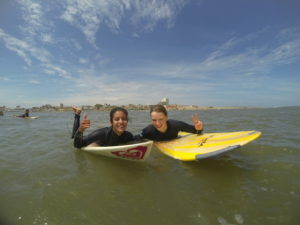 There is an active surfing community and it is easy to make local friends, we can also point you to our Tandem Skydiving program and some other events. 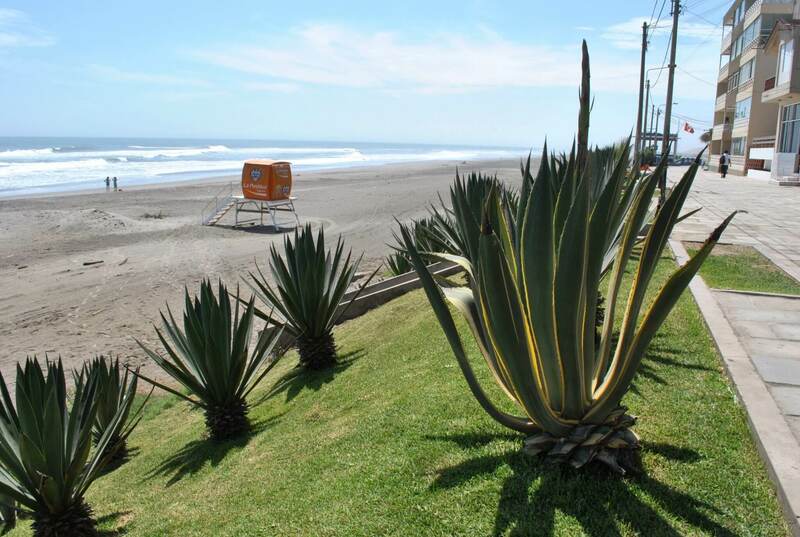 Huanchaco – Only 12 km outside Trujillo. Once a quiet fishing hamlet, the town is now one of the best places for surfing. Trujillo – Founded by Francisco Pizarro in 1534, Trujillo has 709,500 inhabitants. It is the home of the beautiful Plaza de Armas and its glamorous colonial. 4 hrs from our accommodation, this city by the ocean is referred to as the everlasting spring, where temperature is usually 32ºC, and where the very important Festival de la Marinera takes place. Chan Chan – Build around AD 1300, Chan Chan is the largest pre-Columbian city in the Americas, and the largest adobe city in the world. You can visit it by taking a combi from C/España. The ticket (10 S) includes entrance to the Nik-An temple, the Chan Chan museum, the Huaca la Esmeralda and the Huaca Arco Iris. A bit further from the city, the Huaca del Sol y la Luna is over 700 years older than Chan Chan and belongs to the Moche culture. Kuntur Wasi – The ruins of a religious structure in Peru’s northern highlands only 2 hours from our accommodation. 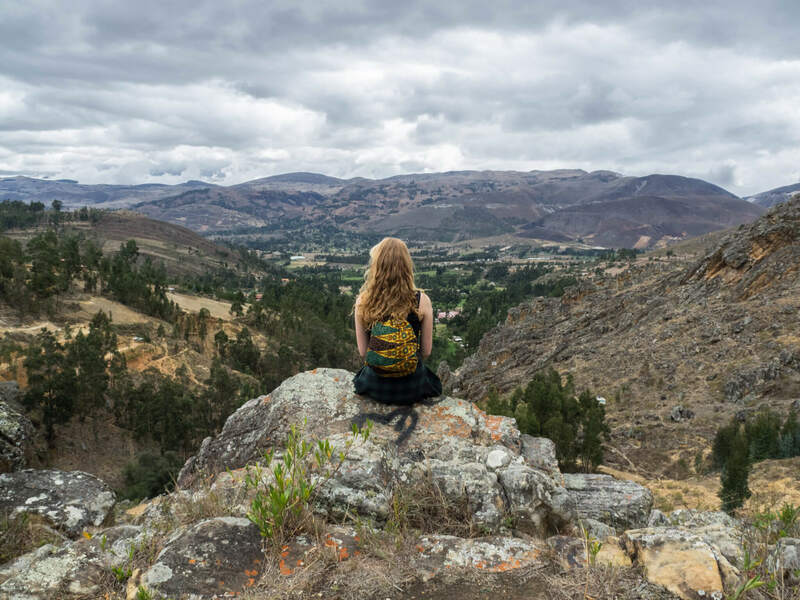 Cajabamba, Huamachuco – Located 5 hours away is a northern Peru town, rich with history, politics, religion, culture and hometown of the international famous muralist Jose Sabogal. Here, you can also visit unspoiled archeology sites and old monuments. 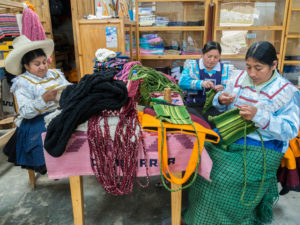 Bambamarca and Chota – Located 3 and four hours away, this towns are known for its festive activities in the months of June/July. 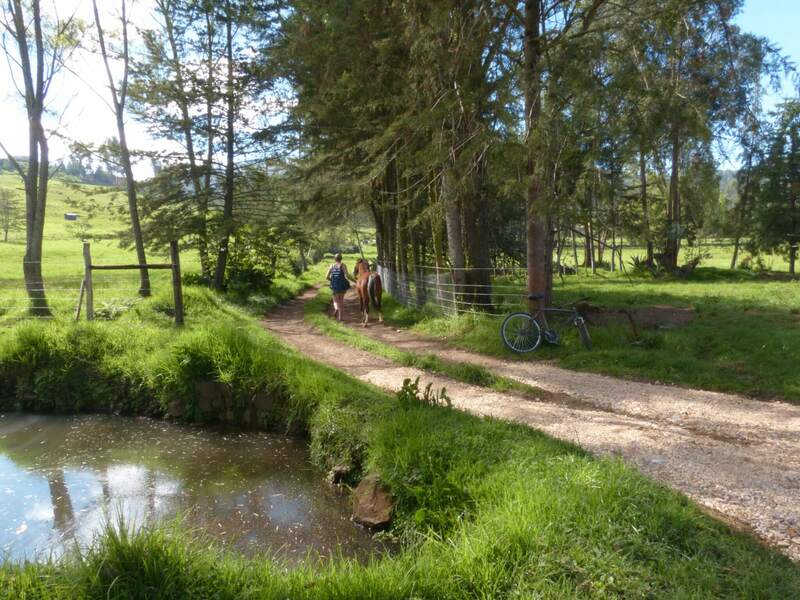 Leymebamba and La congona – Six hrs driving up north, with a little more than 4000 souls, Leymebamba is the perfect, quiet place to try visit La Congona, it can be reached on foot by hiking uphill from Leymebamba. Museum of Leymebamba is just half an hour walking from Leymebamba. Inaugurated in June 2000, the Museo Leymebamba displays more than 200 mummies and their burial offerings recovered in 1997 from the Laguna de los Cóndores by a salvage Project directed by Centro Mallqui. Chachapoyas – Also known as the Warrior of the Clouds, the Chachapoyas were a pre-Incan civilisation who lived in the cloud forests of present-day Peru. Chachapoyas contains intriguing archeological sites to explore, however the drive is 12 hours away from our Center so good planning will be required. Kuelap: The second Machu Picchu – Famous fortress of the mystic “cloud warriors”. One of the very few places never conquered by the Inkas. Visitors describe as as “as impressive as Machu Picchu” while it is by far not as crowded. The government just decided to invest heavily into tourist infrastructure around Kuelap. Be one of the last persons discovering it while it is still relatively unknown! Gocta – The waterfall of Gocta (771m) is amongst the highest in the world. Although methods of measurement are debatable, it got recognized as the world’s third highest waterfall, right after Angel Falls (Venezuela) & Tugela Falls (South Africa). Combine your visit with Kuelap and pick Chachapoyas as your homebase to have an adventurous weekend! GoGetFunding is a crowd funding site which offers professional online fundraising. Simply create a fundraising page to share your story via social media platforms such as facebook & twitter. *One application fee covers unlimited placements and/or countries at time of booking!! !